Anita Joseph is right now shooting a motion picture in Enugu with Bobrisky and a devotee of hers doesn’t endorse. 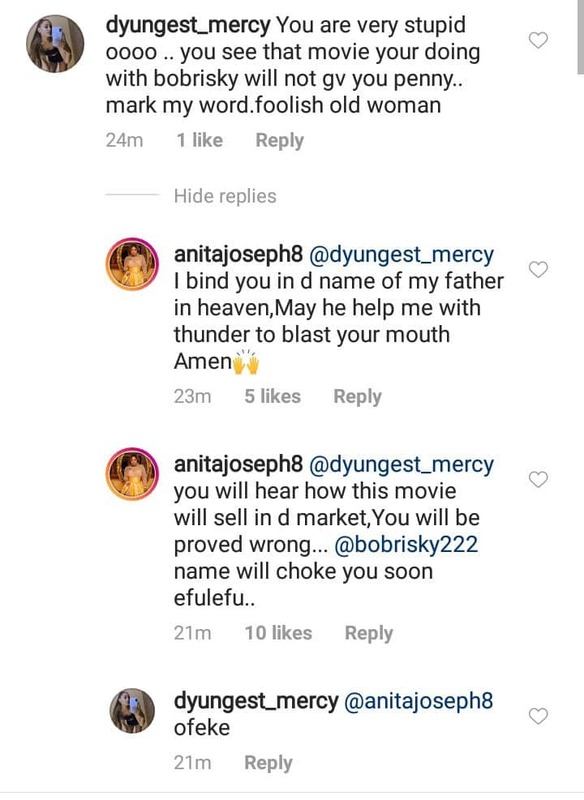 The devotee educated Anita that the motion picture won’t return any benefit on the grounds that Bobrisky is included in it. What’s more, Anita impacted the supporter. Following the earlier decision of the management to suspend all activities of the Students Union Government, the management of The Polytechnic Ibadan has again directed all students of the institution to proceed on mid-semester break with immediate effect. The statement dated Thursday, April 4 and signed by the institutions Registrar, Mrs Modupe Fawale, the management said the police have been invited to ensure smooth vacation of the students from the campus to prevent breach of peace. The statement directed all students to report back for studies on April 10, 2019, urging parents and guardians to requests their children to return home. The statement entitled “Poly management closes school for mid-semester break” reads in part, “The Authority of The Polytechnic Ibadan have closed the institution and the students are to proceed on Mid-Semester break immediately. “The students are to resume for studies on Wednesday, 10th April, 2019. All students are to vacate the halls of residence immediately. “The police have been invited to ensure smooth vacation of the students from the institution and prevent breach of peace. The management had earlier in the day suspended all activities of the student leadership body following the series of clashes and infightings that follows the ongoing football competition organised by the student leadership.